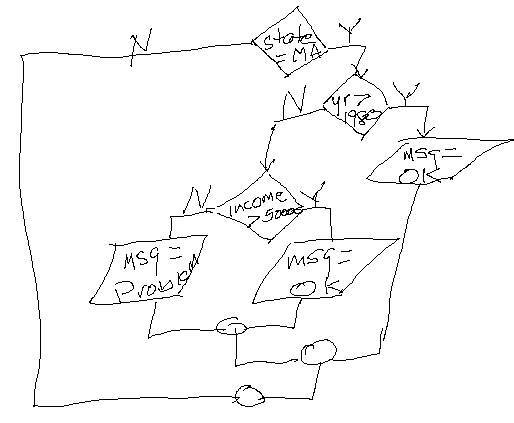 This quiz is going to give you a flowchart for a condition and ask you to answer questions about it. After following the logic in the flowchart, what will be in the memory variable ct? 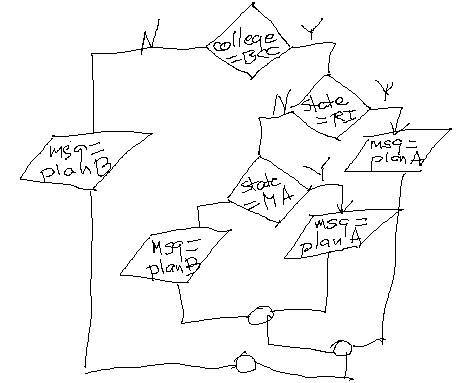 In the next section, I want you to tell me what pseudocode accurately portrays the logic show in the flowchart. Now I want to look at another flowchart and process it with the data you are given. 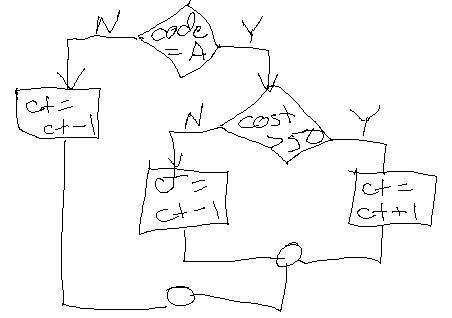 After following the logic in the flowchart, what will be in the memory variable msg?